Drive to the most famous annual event on the Riviera in one of the most famous luxury marques. Lamborghini, Aston Martin and Rolls-Royce are just a few of the prestigious names in Luxury & Services Rent’s exceptional fleet. Rent a luxury car for the Cannes Film Festival to blend in with the glitterati and get you from business meeting to screening in style. Book your Cannes Film Festival luxury car rental now. 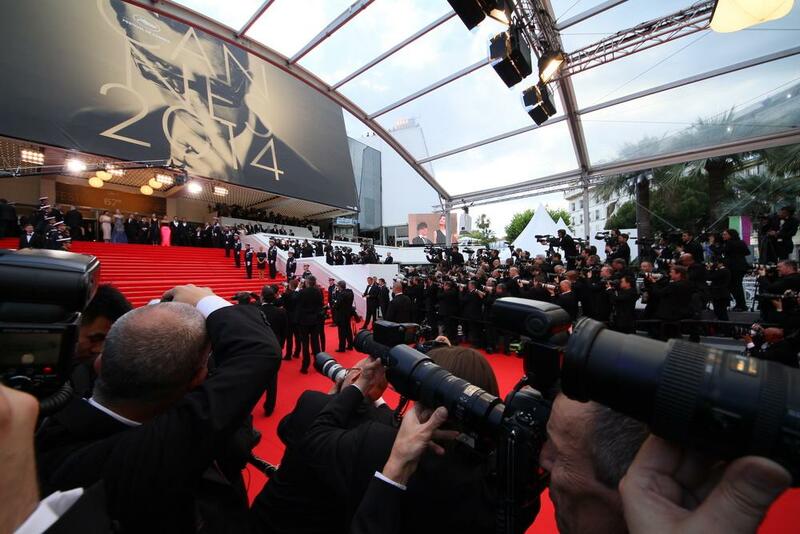 Cannes becomes the centre of the European film industry for 10 magical days each May. Hollywood’s biggest names temporarily decamp to the French Riviera, join them and rent a luxury car for the Cannes Film Festival from Luxury & Services Rent. Onlookers are sure to wonder which famous face is behind the steering wheel of the sleek vehicle cruising by on the Croisette. Cannes Film Festival is the time to work hard and play hard; see and be seen. So if you’re going to be seen, let it be in a Ferrari California from 1,440 € per day, or a drop-top Bentley GTC W12 (1,720€/day). Your time at the festival is precious, so we provide pick-up and delivery from the location of your choice. It could be at the foot of your private jet, your hotel or even another city if that’s convenient. When you rent a supercar for the Cannes Film Festival, you are sure to shine as bright as the screen legends and up-and-coming young stars that traverse the red carpet on the way to the Palais des Festivals. Rest assured, your car will be presented in immaculate condition and worthy of a red carpet appearance. All of our cars are in great condition and we snap up the latest models as soon as they come on the market. When night falls, your Cannes Film Festival supercar rental will be on hand to drive you down to the harbour where the exclusive yacht parties take place. Perhaps, you would prefer a car with a driver? No problem, our friendly and discreet chauffeurs will get you from screening to party so that you can have fun and not worry about the drive home. When you rent a supercar for the Cannes Film Festival, you can keep hold of it after the event finishes. The Grand Prix begins during the last weekend of the Cannes Film Festival and is a tempting diversion for thrill-seekers. Relive the classic film era and drive along the coast in a convertible like the Mercedes S-500, which costs 1,180€ per day. From small sporty cars to stately sedans, Luxury & Services Rent has an outstanding selection of prestige rental vehicles in Cannes. Luxury & Services Rent is proud of its reputation for efficiency, friendliness and unbeatable customer service. Would you like to rent a supercar for the Cannes Film Festival and travel between screenings, meetings, press conferences and parties in style? Then please contact us now to reserve one of our exclusive cars.